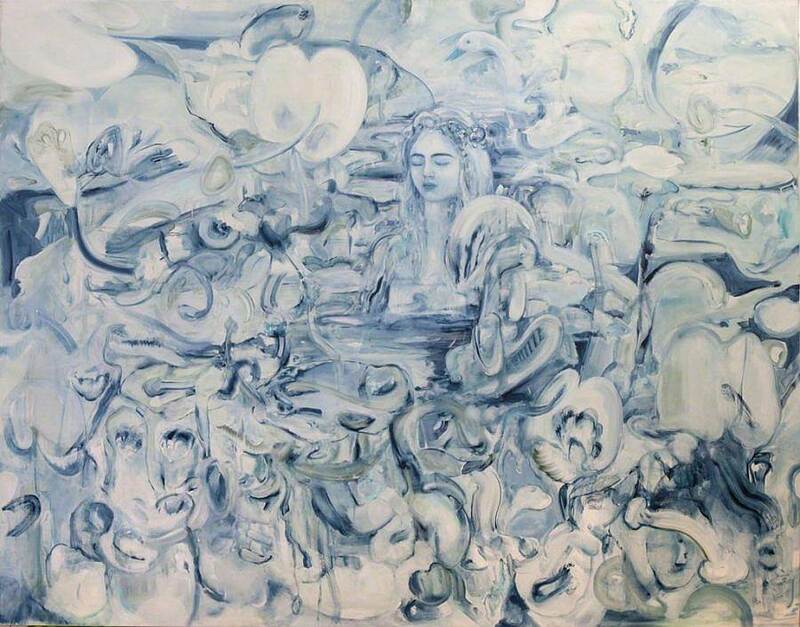 Sophie Milner's paintings hold a place between abstraction and figuration, drawing the viewer in to a painterly plane evoking the botanical, human or anamorphic forms. Coaxed out to play in spaces true to neither life nor memory, they portray an inner landscape... one which comes from a deep questioning and exploration of the psychodramas that paint the self both sore and sacred. 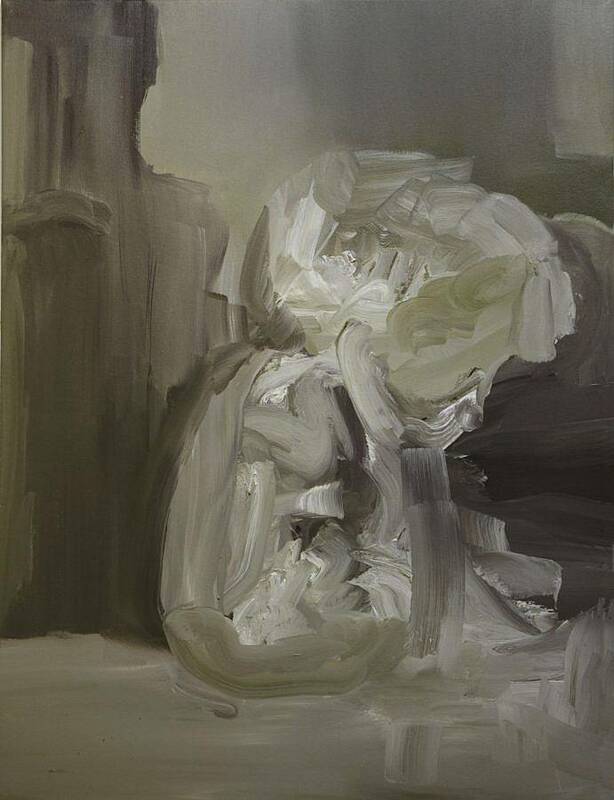 I’m a London based painter who’s work currently deals with processes of abstraction and figuration, and the relationship between liminal psychological states and descriptive visual languages. I use oil paints on linen or cotton. I often work wet on wet, quite fast in an attempt to hold movement and immediacy in the work. Ive started making my own painting mediums using traditional recipes so that I have more control over the paints viscosity and the way the marks are held. My ideas development process is not particularly linear or logical; I use notebooks to explore ideas in words, and these books become a place where ideas are recycled and re-envisaged, until I can see which ones are re-appearing and worth taking forward. I’m not particularly fond of preliminary sketching. I find I have to be careful abut overworking the idea visually before I start, it can kill my interest in the idea. It can also iron out some of the interesting visual issues that I’d prefer to grapple with in the process of painting. I’m working towards an exhibition of new paintings in London later this year. The space is unusual, at the centre is a Graeco-Roman style pool. In Ayurvedic philosophy and Freudian psychotherapy, water represents the emotional dimension, and I find there is something womb like and intimate about entering an indoor space that features water in this way. It also dictates some of the physical perspectives the work will be viewed from, acting as a barrier or forcing you closer to some of the pieces. 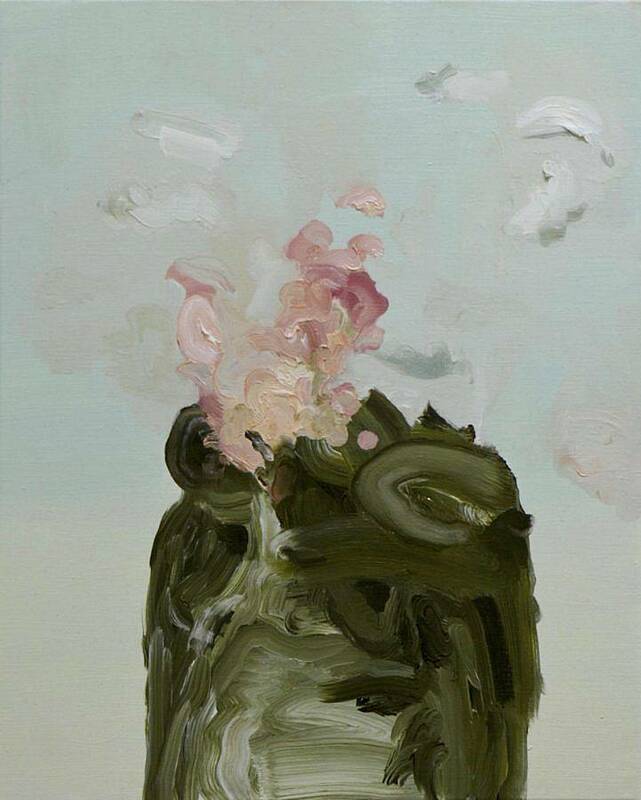 I’m also excited to be producing and co-curating an exhibition next spring with painter Dean Melbourne. 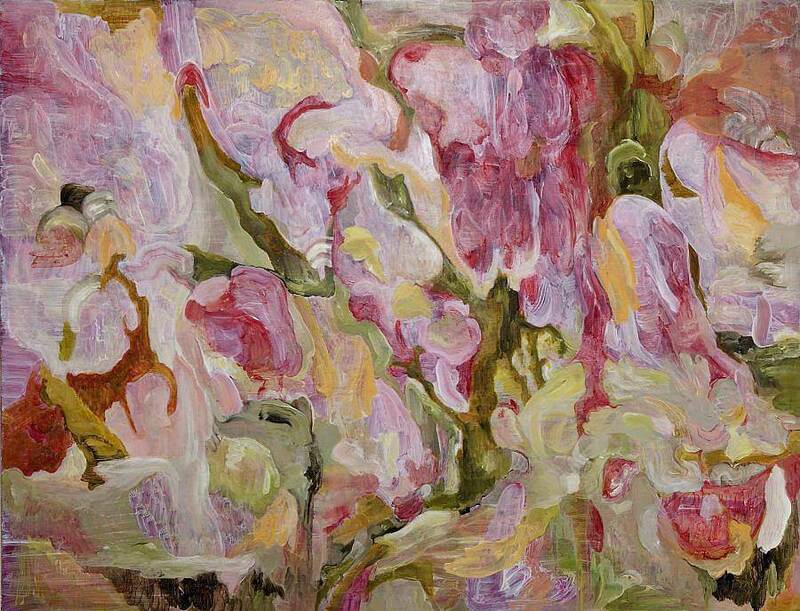 We share an interest in the psychology of painting as a practice, as well as some themes surrounding metamorphosis and narratives of transformation. I’m really looking forward for us to finally be working together in dialogue on a show, and to see how this might affect the work we make towards it. Contemporary British poetry. Sophie Collins, Jack Underwood, Richard Scott, Don Patterson, Rachel Allen, Sarah Fletcher, Emily Berry. I am interested in a kind of semiotic playfulness that contemporary free-verse poetry and painting can share. What was the last exhibition you went to that stuck out to you? All Too Human at the Tate Britain. I went back alone to spend more time with the paintings in the show by Kossoff and Auerbach. These paintings are difficult and generous in a way that demands time and physical presence, so having them on public display was such a treat. 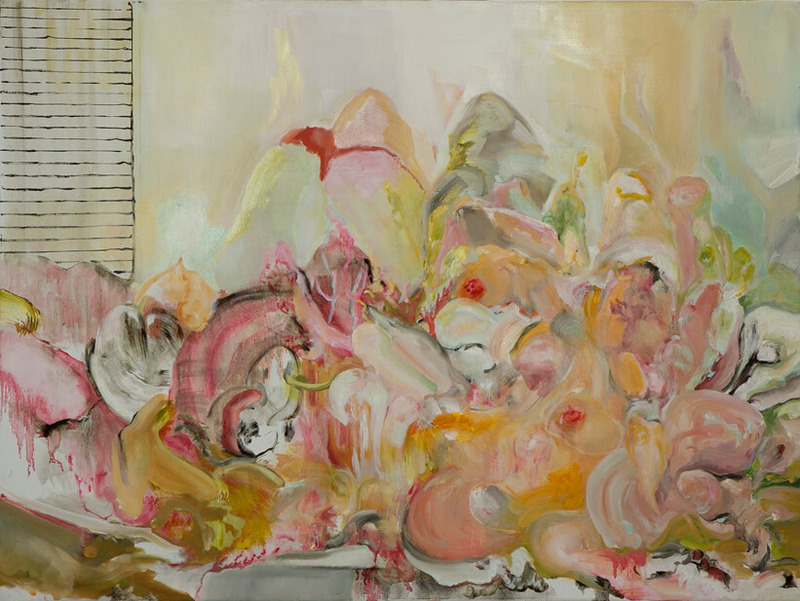 My favourite painting by Cecily Brown, Teenage Wildlife, was in that show too. I like to collect old hand-painted decorative tiles on my travels. I usually rummage for them in markets when abroad. One day I’d like to set them all together in a fireplace or kitchen stove area. I just moved to a new studio in January. It’s my favorite so far. It’s high up in a Victorian warehouse in Islington with a big factory like window. I feel both cosy and isolated in there, its a good combination for painting. I keep the studio pretty minimal aside from things I need for painting and books, and a large table on wheels with a glass top which I use as a palette. Recently, I’ve been thinking about the painted sketch, the space that connects painting and drawing. I’ve felt a shift towards more paired down subject matter, allowing me to focus more on the way I’m handing its representation and ask more honest questions of my engagement with subject. Its easy to hide behind marks that function in some ways decoratively, but Im trying to see what happens in the work when I bring awareness to that at the moment. What do you want the viewer to walk away with after viewing your work? I feel quite resistant to being overtly descriptive in the paintings, I like the force the viewer to have to toy with the imagery and its expression in their mind, as opposed to feeling they are being shown or directed towards something literal. I think this is my way of inviting people to explore means of communication and channels of thought that are not overt and simplified. Alex Katz who said six hours a day, six days a week, for six years. What I take from that and helped me was learning patience and commitment to turning up and putting the hours in. I think if you can focus on your efforts (as opposed to being self critical of how you feel the work is going) you put yourself in good steed to develop longevity in your practice. I do think nurturing a positive relationship towards your practice should always be your priority. So I try not to be too judgemental about how it goes in the studio, and rather judge a good days work on whether I’ve turned up and spent my time focused there. This helps keep my relationship with the work healthy and energised.